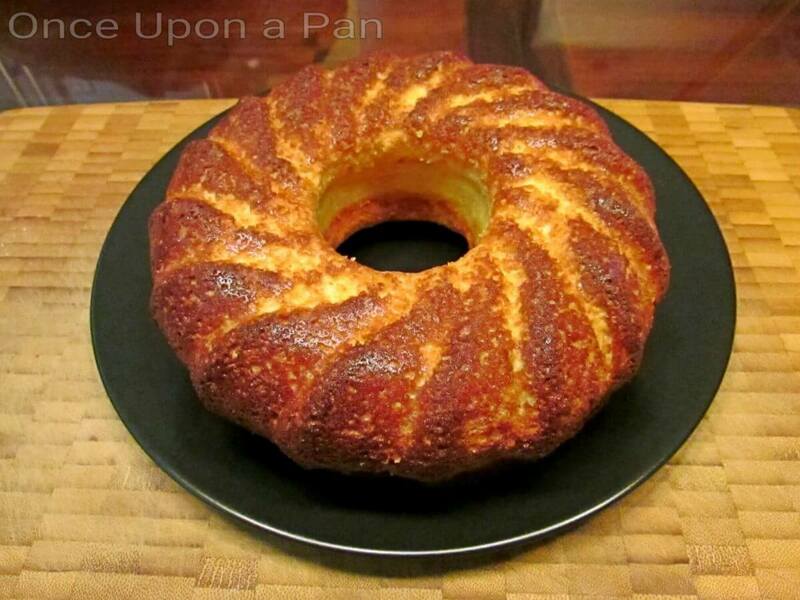 This ricotta cake is inspired in a very popular cake we make in Portugal. We don’t use ricotta but have a similar product called “requeijao” – from what I’ve read, it looks like we can actually say it’s the same think: they have a very similar texture, similar taste and are made from the same product i.e the milk solids that remain in the whey after the production of cheese. So i decided that I could try our recipe and use ricotta instead. Because of the similarities between these two cheese products, it was easy to adapt the recipe. And I was very happy with the result. I haven’t had this cake in a long time and it made think of home, of course 🙂 There’s quite a lot of desserts around that are made with ricotta but this one is different. You can’t really tell is made of cheese, it just seems like a cake but more compact, not as soft as you would expect. We love it with coffee or tea in the morning, not so much as a dessert to have after dinner. Each slice can be quite filling so better to have it as breakfast or afternoon snack. When making this cake, you will realize that the dough is quite thick. Don’t worry, it’s normal. In my case, it gave me the opportunity to use my silicone cake mold. I always struggle to use it: most of the time the dough’s too liquid and the whole mold wobbles 🙂 And I get the feeling everything is going to end up on my kitchen floor 🙂 I hope you are better them me at this! In a bowl , place the ricotta and mash it together with 3 egg yolks .Then add sugar, milk, flour and baking powder. Mix well. Beat the egg whites to a stiff peak and fold them into the mixture. Place the dough in a cake tin previously buttered and sprinkled with flour. Place it in the oven for about 35 min.